Fatal Quad: Who Is Assassinating Former MI6 Assets on British Soil? Last week it was widely reported that a former Soviet and Russian military intelligence officer Sergey Skripal, working for MI6 since 1995, convicted in Russia of high treason in 2006 and released to UK under the 2010 US-Russia spy swap, was found unconscious with his daughter on a public bench near a shopping center in Salisbury, Wiltshire, England. The British media and its eccentric foreign minister were swift to blame Russian secret services for attempted assassination of Skripal, who up to now is still in a coma in Salisbury District Hospital. During the past week the British press hysteria escalated and even made PM Theresa May come out with a ridiculous statement on the issue on Thursday. This tragic case amended the sequence of suspicious and still unresolved cases of deaths in Britain of valuable MI6 assets of Russian origin: Alexander Litvinenko (2006), Alexander Perepеlichny (2012) and Boris Berezovsky (2013). Former officer of the Russian FSB secret service who was in charge of surveillance and later protection of the oligarch and government official Boris Berezovsky in the 1990s, defected to Britain in November 2000, soon after Russian prosecutors revived the Aeroflot fraud investigation and Berezovsky was again questioned in court. That was the season when the oligarch’s empire was crumbling under the persistent legal actions of the Russian authorities. Berezovsky clearly realised that sooner or later he would be jailed in Russia and was seeking asylum that would allow him to follow up his political battle against the recently elected young Russian president Vladimir Putin. It is unclear whether Litvinenko defected on Berezovsky’s direct order or was just afraid of prosecution for possible crimes committed while collaborating with the oligarch who, according to late Paul Klebnikov, was one of the criminal kings of Russia. As Litvinenko was granted asylum in the UK only in May 2001, we suspect that the negotiations on the terms of Litvinenko’s surrender to British secret services were not that easy. He did not possess any valuable intelligence as he was working in counter-criminal and protection units of the FSB, therefore he could be utilised only as a propaganda tool. So he eventually did, after months of failed attempts to avoid it, becoming a journalist for Chechenpress leaflet, supporting the most radical and irreconcilable wing of the separatist movement in the Russian Caucasus, writing defamatory books and actively participating in any single anti-Russian propaganda campaign in international media. 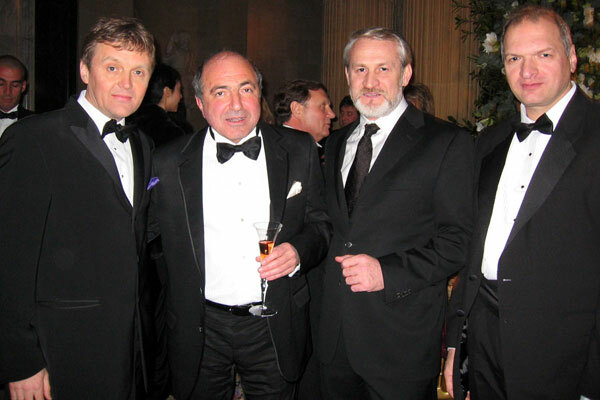 From left to right: Alexander Litvinenko, Boris Serezovsky, Chechen leader Ahmed Zakaev and pocket writer Yury Felshtinsky celebrating Berezovsky’s 60th anniversary in London, Jan 2006. A few days after receiving in October 2006 the long-expected British passport, he hit the headlines of all mainstream media worldwide as a “polonium victim of bloody Putin’s regime”, thus multiplying the global emotional revenue from modest MI6 investments into this miserable figure. The timeline study of his presence on “hospitable” British soil suggests that the citizenship was a landmark he had been desperately waiting for to get rid of the disgraceful dependency on Her Majesty’s intelligence service. Once he obtained it, he got off the hook and became an ideal sacred victim for the lasting anti-Russian campaign and dance on his bones. The inquiry into his death, ordered by then Interior Minister Theresa May in July 2014 (! ), was completed by January 2016 and publicly released. William Dunkerley made an exhaustive diagnosis to that report in his opinion piece, published in The Guardian soon thereafter. We urgently recommend our readers to refresh it in memory. In the most brief terms, he exposes the document as considerably influenced by the anti-Russian PR campaign, inconsistent, unreliable, biased, dubious and lacking evidence. The “Godfather” of the Kremlin, as Paul Klebnikov branded him in a book which eventually claimed his life, Boris Berezovsky was the personification of oligarchy in its most ugly form. He played the role of grey cardinal near President Yeltsyn in the 1990s, securing super profits for his business empire and trying to manipulate political process in Russia. He even reportedly “approved” the candidacy of Vladimir Putin as Yeltsyn’s successor back in 1999, being sure that he and his people would be able to curb and control the neophyte politician. The cold shower came soon. Three weeks after the Putin’s first inauguration, the Berezovsky-controlled media launched a powerful campaign to oppose the President’s plans to reform the federal system of Russia, depriving Berezovsky and other tycoons of the tools to manipulate regional authorities. Those were the first maneuvers in a political war which lasted for more than 12 years. 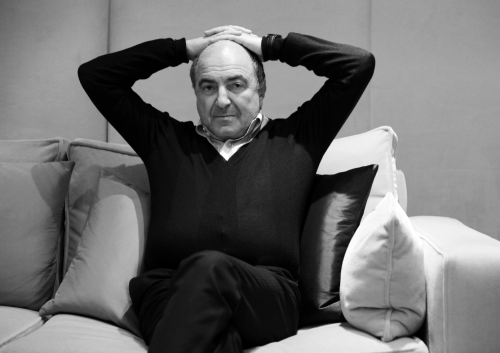 Berezovsky was firmly and consistently pressed out of all institutional positions in Russia, a number of legal cases for power abuse, financial fraud and other crimes were opened against him. At the end of 2000 he left Russia for good, settled in London and started his vigorous, costly, but generally futile efforts to oust Putin and recover influence on the Kremlin. By September 2012, when Vladimir Putin was elected for his third term and Berezovsky lost the case against his business rival Roman Abramovich in London’s high court, he surrendered. He wrote two repentful private letters to president Putin asking for forgiveness and permission to return to Russia without being put under custody. He certainly did not receive any formal reply from the Russian president, but perhaps by March 2013 he received some kind of other positive signals from Moscow. According to witnesses, he was full of life and optimism and plans for the future the very day March 23, 2013 when he was found dead in a bathroom of his Ascot’s house. The official investigation concluded that it was “an act of suicide” failing to provide any supportive evidence. Most likely he was about to leave Britain for good with his fiancé Katerina Sabirova (she had paid e-tickets way to Israel for March 25, 2013), so the MI6 spymasters supervising “project Berezovsky”, closely monitoring him and being aware of his intentions, could not afford let him go out of their reach. 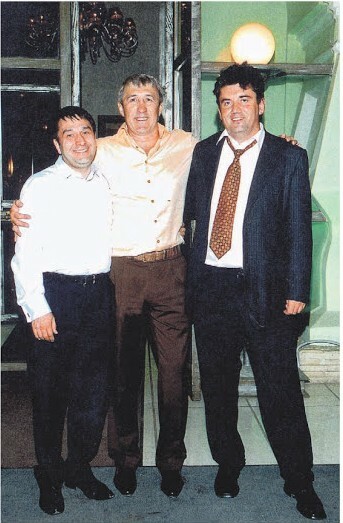 Alexander Perepelichny (R) with some of his “clients”, photo taken in 1990s. Alexander Perepelichny was the Russian entrepreneur engaged in what is delicately called “private banking services”. He was laundering money, huge money, of his clients, derived from illegal activities and operations. Among them there were a number of criminal bosses and corrupted government officials seeking to legalise their funds into different types of assets outside Russia, mostly in the UK. Before the financial collapse in 2009 the volume of funds under his trusted management exceeded hundreds of millions US dollars. Sorry for him, as a result of Blue Monday, he lost around US$200 million belonging to his clients. Under increasing pressure of ‘serious men’ at home, in January 2010 he had to escape to Britain, where he quickly found a buyer of sensitive information he possessed on some of the Russian corrupted officials – a British investor and reported MI6 agent William Browder, who earned a fortune in Russia in 1990s and early 2000s to be later persecuted there on tax fraud charges. Coincidence or not, but Perepelichny left Russia weeks after the infamous Sergey Magnitsky mysteriously died in prison, an incident which appeared to be the cornerstone of a behemoth-sized politically motivated case, resulted in Magnitsky Act, “Magnitsky list” and other voluntaristic anti-Russian legal instruments. It took place in New York on February 3, 2015, when the marshals of the U.S. District Court in Manhattan tried to serve him a subpoena to give evidence on the only prosecution case so far on the US soil proceeding from the Magnitsky Act. (The details of that case can be found here.) The reason for such nervous behavior of Mr. Browder is obvious: his argumentation on Magnitsky case serves only for political aims, when the verdict is pre-planned and scheduled. Where and when the real business interests are touched, all his claims would be destroyed by any experienced lawyer, as did Mark Cymrot from BakerHostetler during Browder’s deposition in court on April 15, 2015. 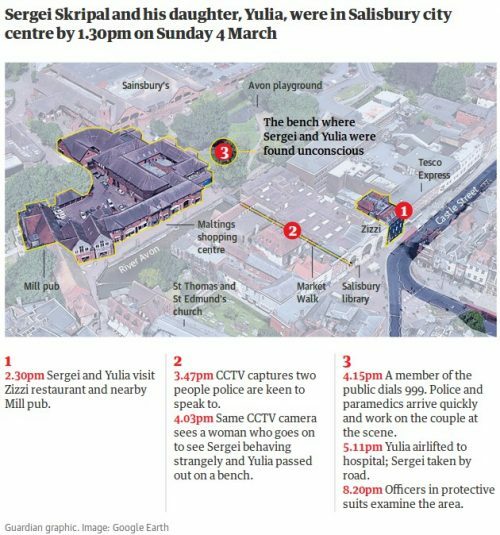 Sergey Skripal was by far less a public personality than any other of the previous trio. The acting Russian military intelligence (GRU) officer, he was recruited in Spain in 1995 by MI6 agent Pablo Miller, hooked on illegal trade operations. For the next years he was busy selling amounts of classified information on Russian military secrets to the Vauxhall Cross, although not everything is clear in his relationship to SIS; e.g., it is unclear why he resigned from GRU in 1999 aged 48 to take by far less informative position in Foreign Ministry and later – a regional government. He apparently wanted to get off the hook and perhaps he succeeded – again, the circumstances of leakage about him to Russian security services in 2004 are vague and dim. It looks very much like the same SIS organized this leak to punish a rampant, poorly controllable and lacking access to any significant information asset. Anyway, after spending less than 6 out 13 years in prison, in 2010 he was included into the exchange list at the Russia-US negotiations on a spy swap. Still we do not know whether it was concurred by the US side with their British partners, perhaps Skripal came to Britain as a surprise guest. Since then he kept a low profile living in Salisbury, but reportedly lectured British intelligence staff on the specifics of Russian clandestine operations. There would be very little benefit from him for the Crown unless he is served as another sacred victim justifying the bugaboo of the “Russian threat” in the UK and worldwide. 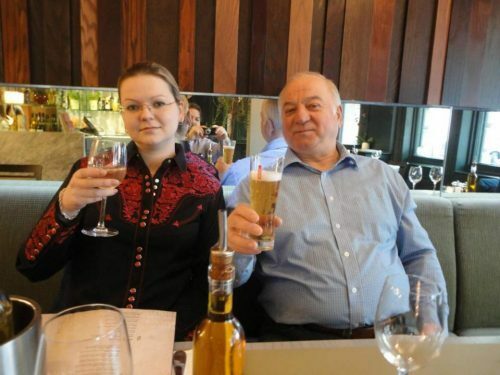 Sergey Skripal with his daughter Yulia in their favorite Zizzi restaurant in Salisbury. The notable feature of all so different persons of the exposed quad is that they irrationally believed in the reliability of British justice and banking systems, institutions and secret services. None of them seemed to be fully aware of the simple fact that they are allowed to feel themselves as the real gentlemen only as long as they served British interests. Once they represented even a potential threat for ongoing political operations or their current value could not exceed anymore a certain threshold, they were easily sacrificed to fulfill their last, but not least task – to be firewood to sustain the flames of Russophobia at their new and very temporary homeland. Andrey Fomine is the founder of the open dialogue research journal Oriental Review where this article first appeared. Read other articles by Andrey. This article was posted on Monday, March 12th, 2018 at 11:42pm and is filed under Espionage/"Intelligence", M16, Russia, Theresa May, UK Hypocrisy, UK Media, United Kingdom.